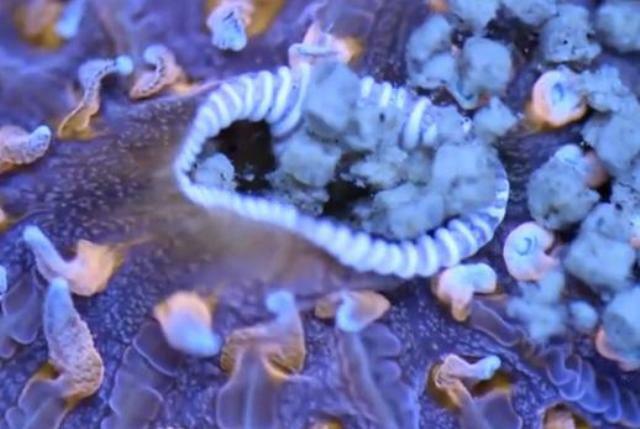 Awesome clip of a fungia going to town on Fauna Marine’s LPS Pellets. Fauna Marine has revamped their LPS food to include soft granules, new trace elements, color enhancing acid mixes, and protein packed oils. 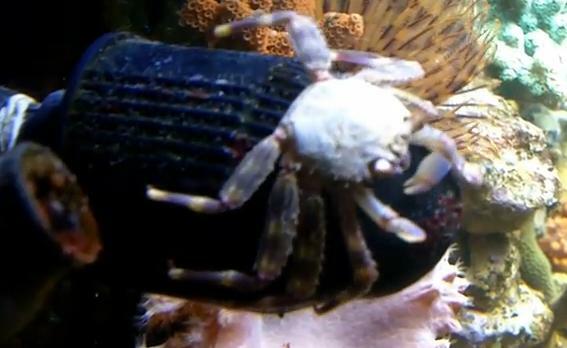 This sweet clip makes me want to drop everything, pick up the FM LPS Pellets, and feed my reef. Check it out for yourself, and please share your experiences with the Fauna Marine LPS Food in the comments section below. The Yellow Wartskin Anglerfish, Antennarius maculatus possesses a face that only a mother could love, yet its unique aesthetic and predator status keep it active within the hobby. 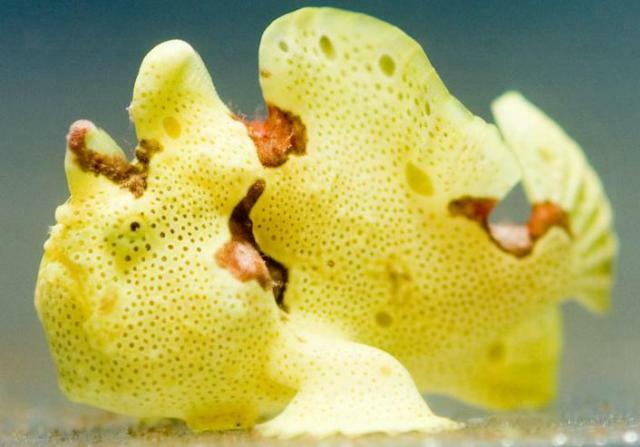 Also called Warty Frogfish, Wartskin Frogfish, and the Clown Wartskin Angler the Yellow Wartskin Anglerfish has highly recognizable characteristics such as its bumpy textured skin and its blotchy color variations. This fish uses it’s sub-par looks to blend into the reef, which is a great compliment to its sedentary lifestyle. In addition to the rough exterior the fish is able to change its color camouflaging itself to blend in even better. Although slow moving, the bite of the Yellow Wartskin Anglerfish is speedy and impressive. They can swallow fish and invertebrates of the same size, making them an ultimate predator. Special care should be taken when selecting fellow tank mates. Often times, when hobbyists are having issues getting the Yellow Wartskin Anglerfish to eat, they will add chromis or damsels to the tank as colorful reef-safe incentives. The Yellow Wartskin Anglerfish tops out at 6″ and should only be kept in tanks larger than 50 gallons. The ideal diet would include live saltwater feeder fish, shrimp, and small invertebrates. Considered “reef-safe”, the Yellow Wartskin Anglerfish is a great choice for the more refined hobbyist, as long as the clean-up crew is able to be used for dietary purposes. The Yellow Wartskin Anglerfish is generally priced between $100-$250 for a small 2-3″ specimen, shop around. When it comes to feeding my reef, I have never practiced “brand loyalty”. I have a string of LFS’s that are always pushing their latest and greatest new lines, and I am the perfect guy to sell them to. I will buy pretty much anything that is suggested to me, especially if you throw buzz words in like: High Quality, Ocean Fresh, and All Natural. A few weeks ago, my local LFS started carrying ROD’s FOOD. Flashy packaging naturally caught my eye, but the salesman’s convincing experience-based story closed the deal. This guy raved about ROD’s FOOD as though it had become a part of his special diet too. With ROD’s FOOD in my bag, and my wallet feeling lighter, I was homebound to feed the reef. ROD’s Foods offers several formulas to choose from, I personally went with the Original Blend. The personal blend has tons of stuff in it. Shrimp, Scallop, Oyster, Clam, Squid, Octopus, Mysis, Krill, Plankton, Nori, Brine, Red Cyclops, Fish and Oyster Eggs, Broccoli, Carrot, Garlic, Rotifers, are just a few of the ingredients mentioned on the package. With my lights still fully on, I fed the tank. To my surprise, many of my finicky corals extended their polyps and begged for a bite. It was awesome. The cherry on top was watching my mandarin goby eat something other than live pods! I’ve been feeding the reef every two or three days and the reactions have been consistent. My tank goes into a state of frenzied feeding from second the food hits the water. 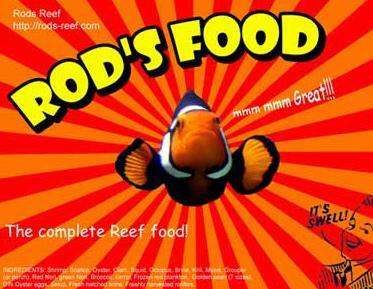 If you are in the market for a new food that will please all of your reef critters, give ROD’s FOOD a try. In Fiji, biologists and divers have created open water coral farms to ensure the longevity of the surrounding damaged reefs. As the reefs are exposed to less than ideal parameters, the corals have died off in large patches, causing bunched up pockets of life. As the corals grow, the begin to overlap, killing out the neighboring less dominant species. The biologists are seeking out the poorly spaced corals and fragging them. The frags are placed on selectively placed grates and monitored for up to two years. 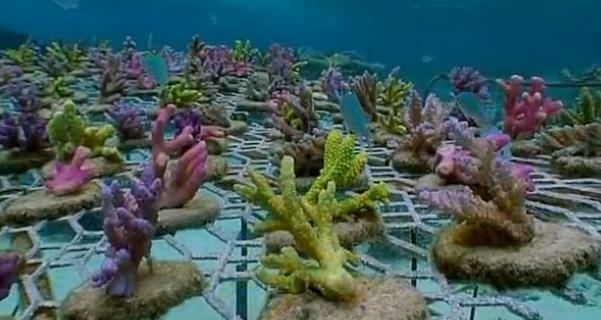 Once matured, they remove a few frags from the parent colony and then transplant it back onto a less than vital area of the reef in an ideal position. The entire process takes about to years. 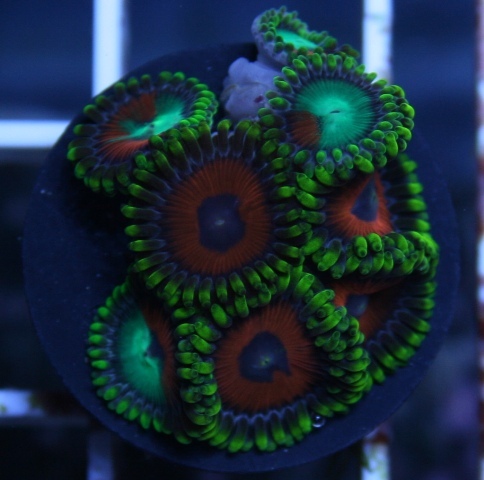 Zoanthids are by far one of the most diversely colored corals available within the hobby. In addition to possessing a rainbow of color options, they have patterns and combinations that make them incredibly fascinating. We are always seeking out the latest and greatest zoanthid morphs with the rarest color schemes and vibrancies, so why not create our own hybrids? After all, we are always being introduced to new varieties, isn’t it time that we challenged ourselves to be the mad-scientist reefer that gets to name the next hot zoa? I think it is. There are tons of ideas on how to go about morphing zoanthids. Some seem easier than others, and some seem straight up intense. I wanted to share a few techniques with you, and hopefully you will share some techniques with us. Below are the techniques that seemed to have some forum credibility. Alternate lighting intensities for varied periods of time. This would entail moving the zoanthids back and forth from different light ranges and strengths over a period of time. Some have reported that this technique has created slight changes. Take tow or more different zoanthids and slice them at their mats. Glue the two or more mats together on the same plug leaving the freshly cut sides unglued and touching each other. This will cause the mats to grow into one unit, and potentially cause the zoanthids to take on some of the characteristics of the other. This method seems to have a decent success rate, but can be tricky based on working with a small slimly wet product. Places several species of zoanthid on one small rock. With time they zoanthids will grow together and bunch up. The shared space and friction has at times created morphs. However, the morphs generally have not been able to reproduce offspring morphs. That is the challenge at hand with this technique. All three techniques have been tested and all three proved some rate of occasional success. If you have tried to create your own morphs and want to share your experience with this lofty endeavor, please post about it in the comments section below. This is a quick clip of the Flat Rock Crab (Percnon planissimum) grazing on a Hydor Flo while in motion. The crab clearly is not shaken by the ride. 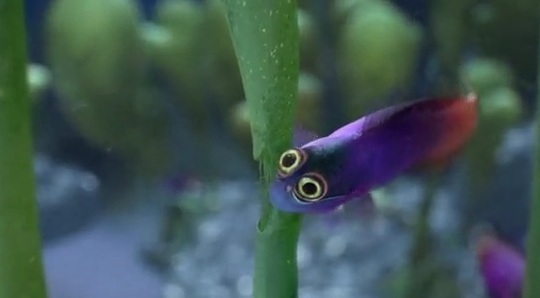 In addition to being great algae eaters, these little guys clearly work in the entertainment industry. Enjoy. Aquatic Connection is offering 40 wicked-sweet deals this week only. Each of the 40 items is at least 40% OFF! In addition to having awesome specials their shipping rates are also exceptionally reasonable. Since December 21st, 2010 a Tijuana sewage pipe has been spewing raw sewage onto the streets, beaches, and subsequently into the ocean. 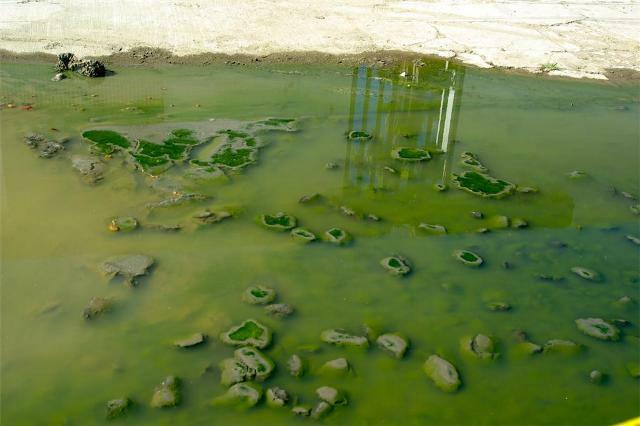 Approximately 31-40 million gallons of the gooey green sludge have found their way into the Pacific and due to north-bound currents are making their way into the Southern California’s waters. Silver Strand, Coronado, and Imperial beaches are all at risk of becoming the ultimate dumping ground for the waste. Tijuana officials are trying to get the situation addressed by Monday, January 24th. The total environmental impact of the spill is unknown, but ultimately the native species of corals and fish in the region will be affected on some level. I have absolutely no idea what Cadbury Chocolate intended this commercial to be used for, but it is simply perfect for us to get a laugh. Its not uncommon for us to catch a glance at the shenanigans that our reef critters create, but when the lights go out who knows what mischief occurs. This clip is of the battle between Spots and Stripes and the ocean is teaming with unlikely alliances. Check it out, get a laugh, and get back to work.